With recent defeats to Girona and Tottenham Hotspur, it’s rumored that Zinedine Zidane is thinking about offloading a few of his players, with one of those expected to be on his way out being Toni Kroos. For fans who have seen the German in action on voetballivestream.tv, this is very difficult to believe - the impact that the German midfielder has made since arriving back on 2014 has been great, and he was one of the key players in Real Madrid's most recent double in La Liga and the Champions League in 2016/17. Marcelo, Casemiro and Luka Modric are the other players who are reportedly to be on the sell-out list of Zinedine Zidane, whether or not it’s true is something that remains to be seen. With Real Madrid one of the most watched teams on websites such as livestream.services, any changes will be watched with interest by millions of fans across the globe. As a way to take advantage of these reports, it’s also being rumored that Jose Mourinho has been and is still attempting to get in contact with Toni Kroos in order to bring him to Old Trafford and secure the services of the 27 year old player. This is actually not the first time that Toni Kroos has been linked with a move to Manchester United as he was on the verge of moving there a few years ago when David Moyes was in charge of the English Premier League club and attempted to sign him but failed as the player eventually went on to make a move to Spain from Bayern Munich. "From the beginning, Zidane gave me a lot of confidence and in his two years he's played me in almost every game, especially in the big games. Trust me; I will always try to give everything for the team. We have a good relationship. A friendly relationship with the coach is important for each player." Those were the statement released by Toni Kroos as he talked about his reasoning behind switching to Real Madrid instead of Manchester United which was done a few years ago. Jose Mourinho is hoping that he has better luck than David Moyes in his rumored attempts of signing Toni Kroos. 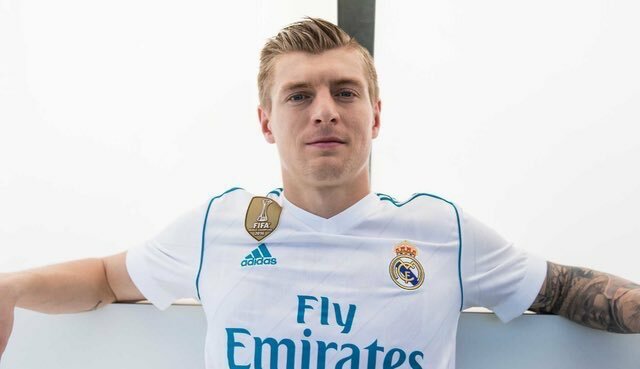 With Mourinho's United struggling to sparkle in the Premier League so far this season (in spite of the fact that they are in second place in the league table), Kroos could be just the player to unlock stubborn defences, and bring a bit of magic back to the Theatre of Dreams. United have also been linked with a return of Cristiano Ronaldo, although that seems fanciful at best. That said, with Ronaldo's former manager Jose Mourinho installed at the club he made his name at, there are some pundits in the industry who have tipped the move to happen. Such a move would surely push United above Real in the socagol 'most watched' league table, with Ronaldo amongst the most popular players in the world, and the current holder of the Fifa Ballon D'Or.